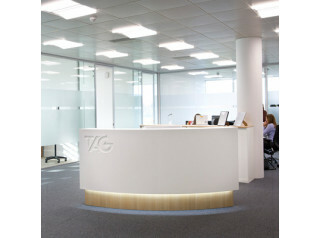 Linnea Radius Reception Desk features a twin reception layout that provides an elegant approach for customers and clients. Create the best possible first impression. 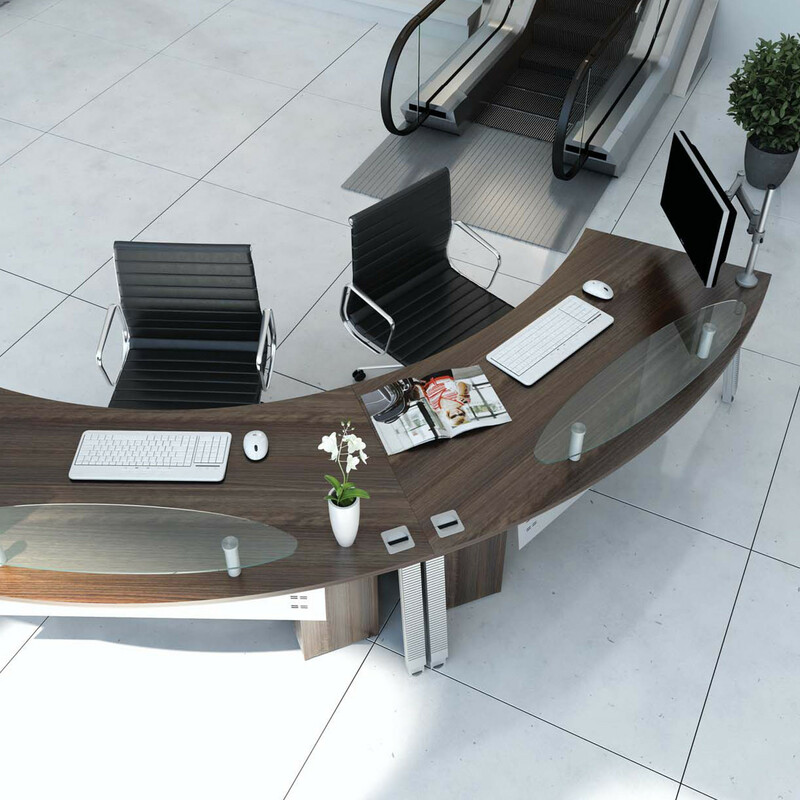 Linnea Executive Reception Desks can be used alone or paired in a larger reception area. 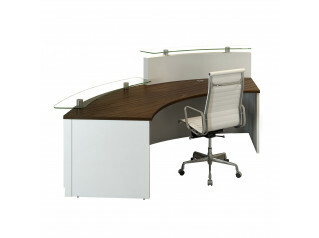 The curved workstations are freestanding and can be moved with ease. Glass reception shelves are compatible and can be positioned according to personal preference. 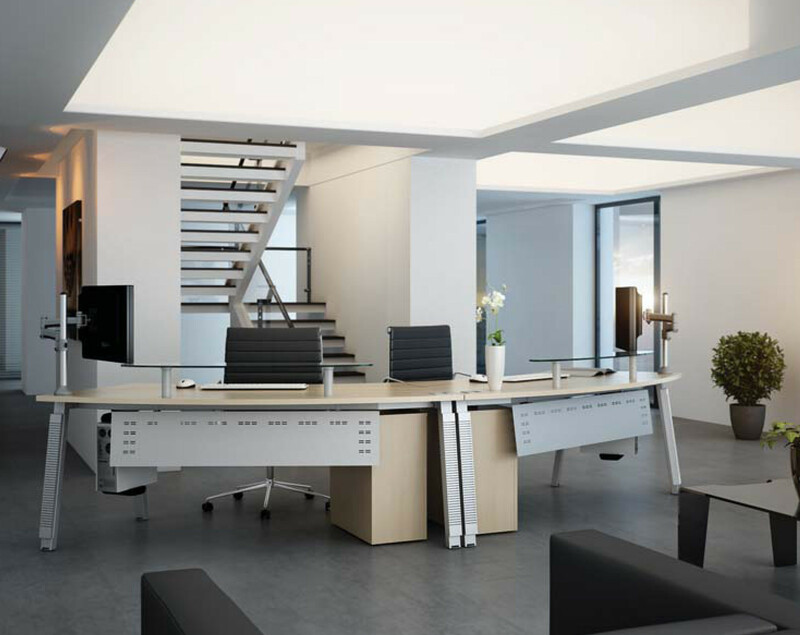 Optionally Linnea Radius Reception Desks can be fitted with modesty panels, glass reception shelves, monitor arms and cup holder. 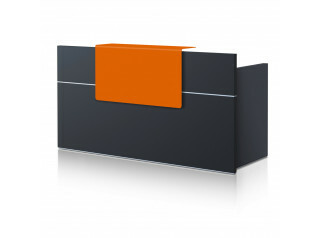 Linnea Reception Desk features 25mm MFC tops with 2mm impact resistant edge trim. Adjustable feet allow for uneven floors whilst optional cable risers conceal wiring. Comes with a full 5 year manufacturer's guarantee as well as being a FIRA certified product and meeting British, European and International standards. 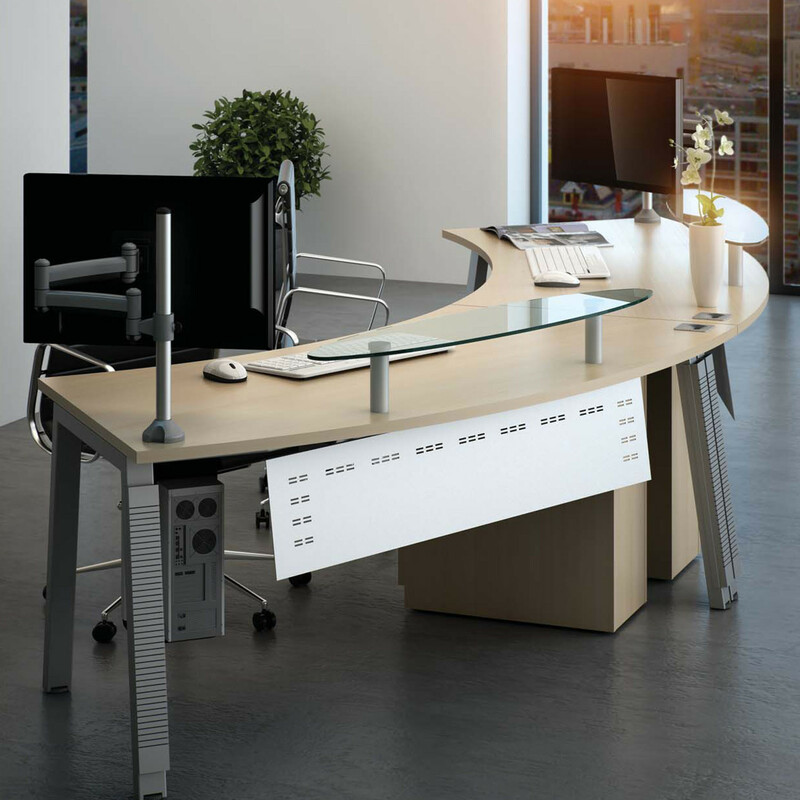 The Linnea Desk Collection comprises the Linnea Single Bench, Linnea Rectangular Desks, Linnea Elevate Bench Desking, and the Linnea Bench Desks. You are requesting a price for the "Linnea Radius Reception Desk"
To create a new project and add "Linnea Radius Reception Desk" to it please click the button below. 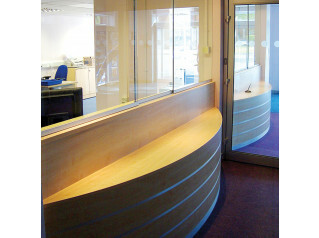 To add "Linnea Radius Reception Desk" to an existing project please select below.